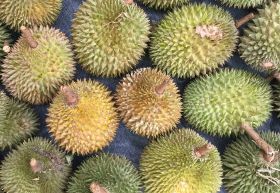 A supermarket in Java displayed four J-Queen variety durians for sale at IDR14,000 – around US$1,000. Plaza Asia Supermarket’s manager, Hinhin, said the J-Queen variety durian is 95 per cent flesh with little seed. As of 7 February, reports stated that two of the fruit had been sold. 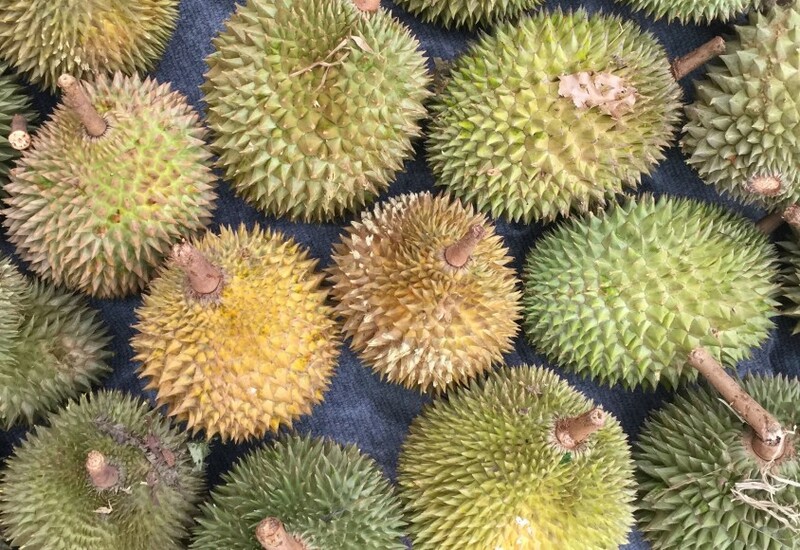 The durian variety was crossbred by a man named Aka, an Indonesian psychology major in Java, who claimed to have created the ‘new rare fruit’ by crossbreeding two durian varieties from different regions of Indonesia The Malay Mail reported. The trees had allegedly failed to fruit in previous seasons, but utilisation of a new fertiliser helped to produce fruit this season, dictating its high price according to Retuers. Aka claims the J-Queen variety typically only produces once every three years and has a “peanut butter taste”, as well as round, gold-coloured fruit. Growers of durian in the region of Kendal, where Aka’s trees are located are sceptical of his claims, as even rare Indonesian varieties typically only sell for around US$15. The head of the Agriculture, Plantation and Livestock Service Office of Kendal district, Cipto Wahyono, echoed the local growers' concerns and said to Kompas the durian trees in Kendal are a local variety which aren’t worth that much. In contrast, a coveted Thai Ganyao variety durian sells for up to US$600 a piece.